Dr. Jayaprakash Narayan, Founder and Mr Surendra Srivastava, National President of Loksatta Party congratulated Ms. Hyma Potineni, National General Secretary and Mr. Sambi Reddy, Special Emissary to the National President on their successful tour of Andhra Pradesh state. In their 2 day tour they undertook, they met with district leaders Dr. V.V. Rama Rao, Raj Varma, Smt. 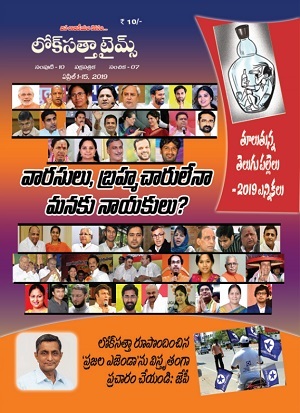 Jhansi, Sreedevi, Venugopal, Kishore Kumaran, Rambabu, Poli Naidu, Jalla Ravi, MV. 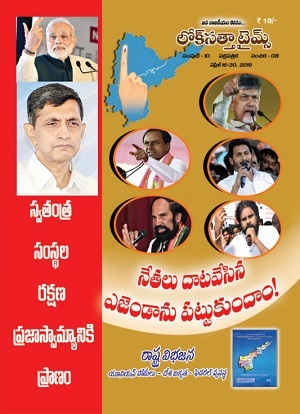 Rajagopal, PVK Sekhar and several other office bearers, members and supporters in Rajamundry, Kakinada, Visakhapatnam and Srikakulam. Hyma Potineni highlighted the steps taken by the party leadership to recruit new members, raise funds and engage members to actively participate in party work. Sambi Reddy requested local leadership to seek feedback from not only members but also from Loksatta supporters and voters in order to strengthen the party. Dr. Jayaprakash Narayan and Mr Surendra Srivastava called upon all young people to come forward to build Loksatta. Mr Srivastava will be touring Tamilnadu on 13th and 14th February along with Ms Hyma. What does the Delhi verdict mean?